How do I get villagers in my world? Is it possible to get villagers in my survival world? I can get villagers on my creative world, but not on survival mode. Yes it is possible to find villagers. They can be found in villages generated when you start a new world. 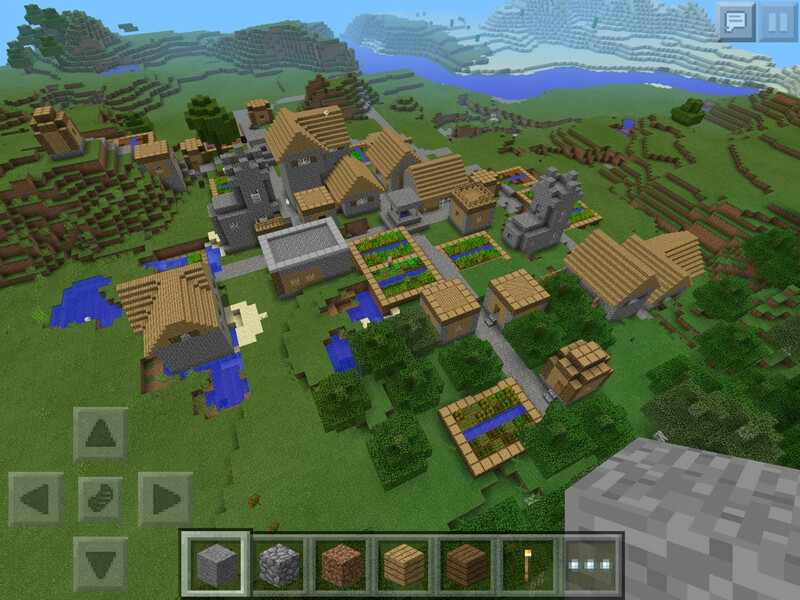 Added villages. They spawn with gravel, wooden or sandstone bridges. Added villagers. Same level of AI as PC version 1.0.0 - They cannot trade, breed or open doors. You will find villagers walking around, and as of version 0.9.0 build 2, they have sounds! You have to find a village. Villages look something like this. Not the answer you're looking for? Browse other questions tagged minecraft-pocket-edition or ask your own question. How to get sugarcane in minecraft PE? How do I get out of the void? How do I make a hoe in Minecraft Pocket Edition Creative Mode? 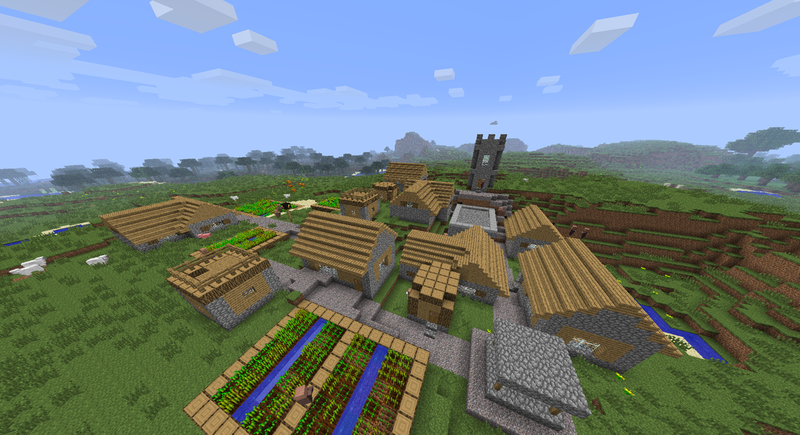 How do you find a village on survival? How do you make chainmail armor in minecraft PE survival? How can one equip armour pieces in Creative mode? In MCPE v.0.15.2 can you trade with villagers?